ItemNA-12392 - Forest Service; Cowichan Lake experimental station; facilities and accommodations. ItemNA-12393 - Forest Service; Cowichan Lake experimental station; facilities and accommodations. ItemNA-12394 - Forest Service; Cowichan Lake experimental station; facilities and accommodations. ItemNA-12396 - "Loggers Dream" Loading Trucks, At Terrace. 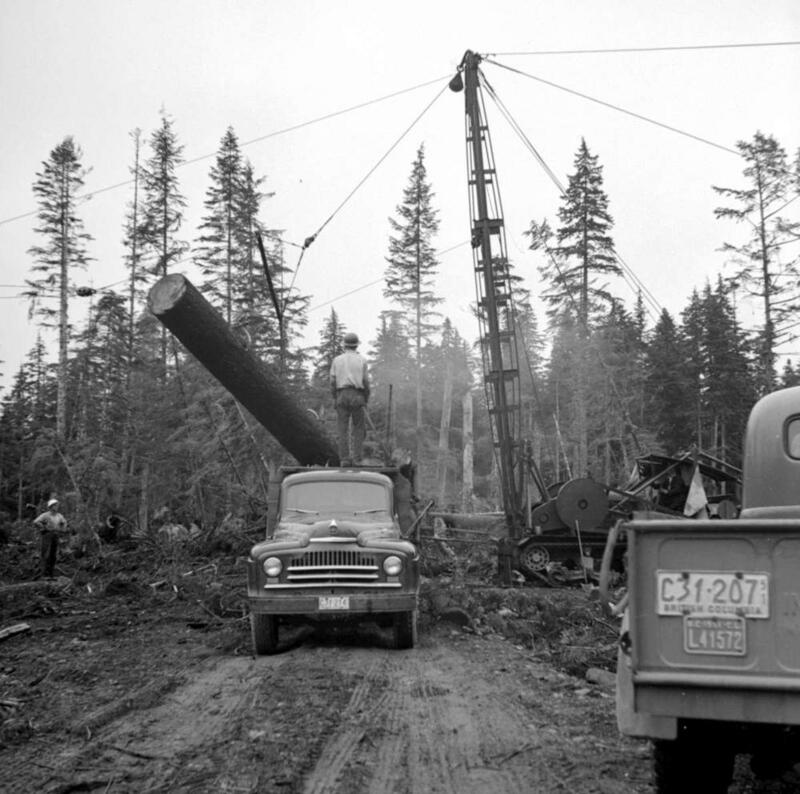 ItemNA-12399 - Loading Spruce With Heel-Boom At Sandspit Queen Charlotte Island. ItemNA-12402 - Forest Service; boathouse, Port Clements. Item NA-12396 - "Loggers Dream" Loading Trucks, At Terrace. "Loggers Dream" Loading Trucks, At Terrace.